MU Result 2018 has been released. Students can check Mumbai University Result for Dec 2018/Jan 2019 on this page. MU Result is available for Second Half Exam 2018 and First Half Exam 2019. Mumbai University Result is available in PDF. MU Result can be checked to know the total marks and GPA secured in the exam. Mumbai University Mark Sheet can be obtained from this university. A student will be considered to pass the exam if he/she secured the minimum required percentage in aggregate. The promotion of the students to the higher semester will be done as per the university regulations. Students not satisfied with the marks or fail in a paper can apply for revaluation of the answer script. Check the page for Mumbai University Result 2018-19. Latest: Mumbai University has released the result of M.A, M.I.M, M.F.S.M Exam 2018-19. Mumbai University conducts the exam in the semester mode. The exams are conducted at the end of the semester. To appear in the exam students have to fill the exam form and fees. The University releases the Hall Ticket for all the eligible students. Check the table for www.mu.ac.in results 2018. Result: Click Here to check Mumbai University Result 2018. How to Check Mumbai University Result 2018? Students appeared for the semester exam can check the result through the link provided in the table. Select your subject code and click the link available. Mumbai University Results Engineering will open in pdf. Check total marks, grade, credit points from the result. Students who are not satisfied with the marks scored in the exam can apply for the revaluation of the answer script. Only the eligible students are allowed to apply for the revaluation. Students have to submit the revaluation form along with the revaluation fee. The University will not accept any application after the due date. After the revaluation, better of two marks will be updated in the result. Mumbai University Revaluation Results releases on the official website. The performance of the students will be evaluated in two parts that are internal assessment with 40% marks by semester end assessment with 60% marks by conducting the theory examination. The marks in the semester will be given out of 100 and further these will be converted into the grade points. The grade cards will be given to the students along with their marks in the course. The grade cards will be issued to only those students who will qualify in all the subjects and according to the marks they will obtain in the semester, grades will be awarded. The SGPA (semester Grade Point Average) will be calculated for only those students who will be passed in all the subjects of the course. 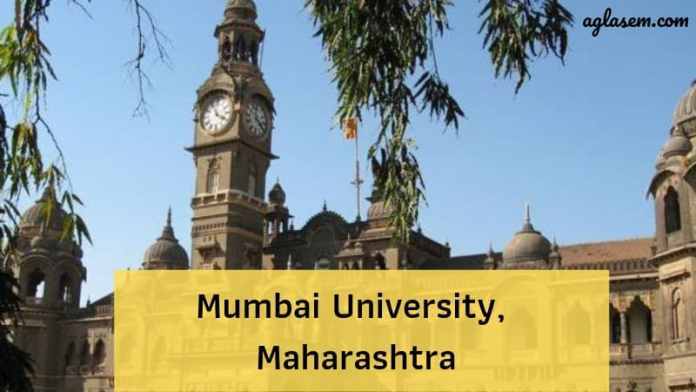 The courses that are offered by Mumbai University are divided into 2 semesters per year. For every semester results are published separately. To check the result candidates just need to visit the official website of Mumbai University and must choose the stream in which they are pursuing the course. After selecting the stream they are required to select the course and the semester. After doing so candidates will be directed to the result page of that course they must enter the roll number to check the result. Candidates are advised to click on the appropriate link to check the result.